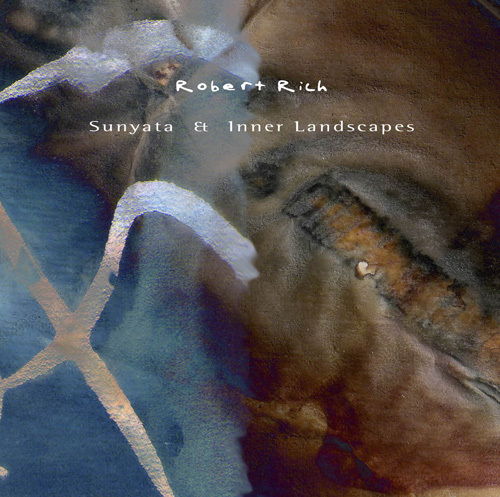 Cover art for 2013 version of Sunyata & Inner Landscapes by Robert Rich, coming soon — a co-release of Hypnos & Robert’s own Soundscape imprint. A hint of what’s to come. 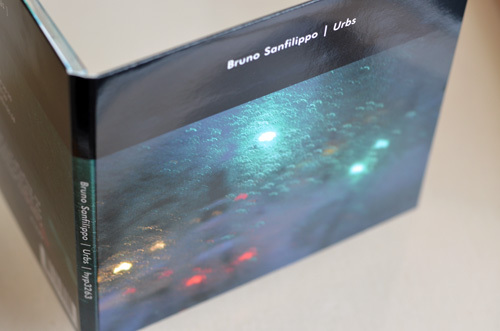 Urbs by Bruno Sanfilippo, release date 5/11/2012. We’ll have another “week 1″ special price offer, sample mp3 audio clips, and more. We’re very pleased to announce the latest CD release from Hypnos, Let the Stars Assume the Whole of Night. 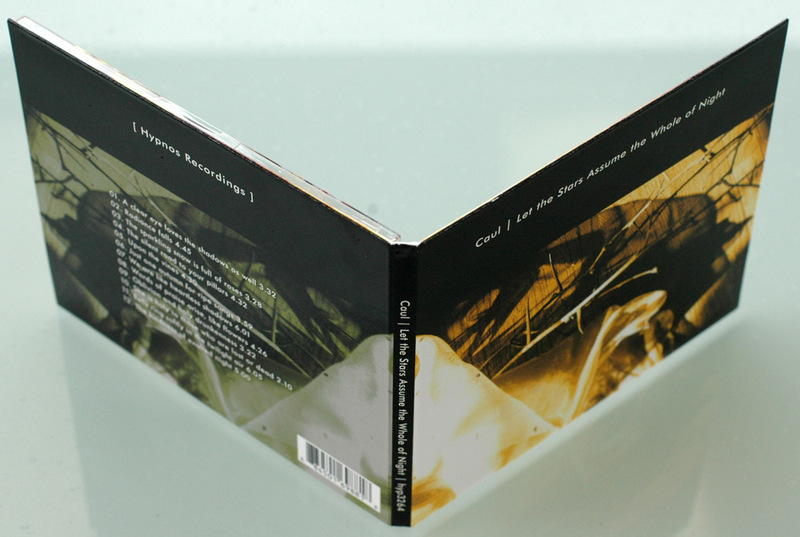 It’s the first release on Hypnos by Caul. As with our last few new releases, we’re going to offer a special reduced price for the first week of release. This CD will end up selling for our usual $12.99, but we’re offering a special “week one” deal through Friday April 6, only through the Hypnos Online Store. Caul has released an array of incredible dark, cinematic ambient music, but much of it has been self-released in small quantities, so many listeners who might potentially enjoy his work might be unfamiliar with it. His collaboration with Numina, Inside the Hollow Realm, did receive a fair bit of attention five or six years ago, but Caul has mostly flown under the radar. 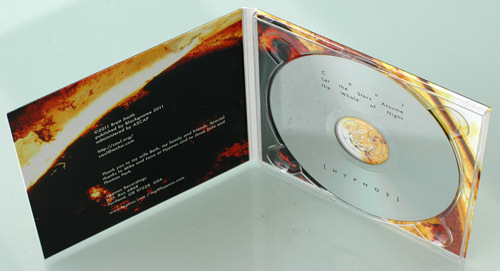 As I mentioned, most of his work has been self-released, often in elegant, artisanal hand-made packaging. See his Discogs Page for more information about his work, or his own site at caul.org/. Let the Stars Assume the Whole of Night is a wonderful mix of sounds and atmospheres: dark without being spooky, melodic but not pretty, listenable, but too nervous and somber to ever become predictable. These pieces are more composed and structured than most ambient music, more akin to the soundtrack for some dark and moody piece of cinema. Imagine the score to an undiscovered work by David Lynch or Andrei Tarkovsky and you have the idea. Listen to the sound clips below and decide for yourself. As mentioned last week, several CD releases intended for late 2011 were delayed but are ready to be released in short order. Urbs will be the first Hypnos by Bruno Sanfilippo, the brilliant ambient musician from Barcelona, Spain, and co-owner of the excellent AD21 label. Bruno’s own web site is at bruno-sanfilippo.com. Urbs is an intriguing combination of ambient textures with location sound recordings, along the lines of the classic Hypnos releases Sonic Continuum (Modell and Mantra) and Silence Speaks in Shadow (Paul Vnuk Jr.), but with more of an urban or cityscape flavor. More information will be forthcoming, including sound clips. This one should be released in April, and we’ll have a more specific expected release date to announce within a couple of weeks. Let the Stars Assume the Whole of Night is a wonderful mix of sounds and atmospheres: dark without being spooky, melodic but not pretty, listenable, but too nervous and somber to ever become predictable. These pieces are more composed and structured than most ambient music, more akin to the soundtrack for some dark and moody piece of cinema. Imagine the score to an undiscovered work by David Lynch or Andrei Tarkovsky and you have the idea. We’ll post sound clips soon, and you can decide for yourself.